You can use a reverse mortgage to cash out some of your home equity. 2. What Is Mortgage Assignment vs. Mortgage Assumption? You can effectively turn your home into an income source by taking out a reverse mortgage. When you take out one of these loans, your lender provides you with a monthly income check and the amount of each check is added to your loan balance. The loan becomes payable when the last surviving homeowner dies, sells the home or moves elsewhere. While reverse mortgages are a useful tool for those seeking additional income, these loans also have some pitfalls. Reverse mortgages involve the same kind of closing costs as conventional home loans. Your lender must pay a fee to your county to record a lien on your home and in some states you have to pay documentary stamp taxes whenever you borrow money. These fees and the home appraisal cost are normally passed on to the borrower. Additionally, many lenders charge an origination fee, which is essentially a fee your lender charges for providing you with the loan. You must pay these fees upfront or roll the closing costs into the loan, which reduces the equity you can convert into your monthly income stream. Home Equity Conversion Mortgages are federally insured loans that are among the best-known and most widely available reverse mortgages. Under the HECM program you have to repay the loan in full when you move out of your home. While the HECM plan does not regard nursing home stays as examples of relocating, you do have to repay the loan if you spend 12 consecutive months living in a nursing home. This could create a financial hardship, especially if you are relying on reverse mortgage income to cover your nursing home costs. Your home-related obligations do not disappear when you replace your conventional home loan with a reverse mortgage. You must cover maintenance costs as well as paying your homeowners insurance and property tax. If your reverse mortgage takes the form of a fixed monthly payment, then you may fall behind on your taxes and insurance bills if these other costs rise over time. Generally, reverse mortgage loans become due if and when you default on property tax or homeowners insurance obligations. 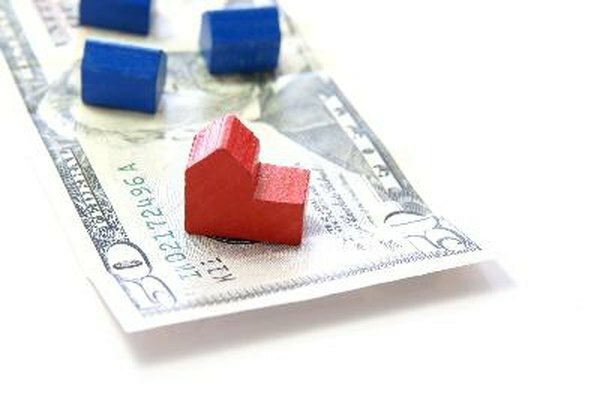 Lenders offer a variety of reverse mortgage plans that provide you with monthly payments that vary in size and duration. The larger the payment, the shorter the term. If you choose to take out a large monthly payment, you may outlive your equity. Reverse mortgages are difficult to refinance due to the complex nature of these products and the limited number of lenders offering these loans. If you choose a payment that proves insufficient to cover your costs, on the other hand, you may find your monthly expenses exceed your income.